Joe Tanner invented a rolled rubber tee top 25 years ago as an improvement to the rigid molded cone batting tee commonly used at that time. His rolled rubber invention allowed hitters to hit through the baseball without obstruction from the tee. It is used today by thousands of hitters, so here are some reasons why we feel it's a great tee top for all ages and skill levels. Ball Presentation. 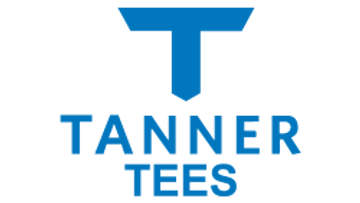 Tanner Tees are hand-rolled in Sarasota, FL by staff that have taken Joe Tanner’s original Tanner Tee process and refined it each year to produce a very high-quality batting tee. Each top is a tightly wound cone that rests the baseball or softball high on the tee, exposing a large surface area to attack. Flexibility. At contact, rolled rubber flexes down then resets back to the upright position. The hitter does not feel the tee and therefore is able to contact any portion of the baseball they wish to achieve the ball exit path they desire. If that means hitting the lower third or bottom half of the baseball or softball, that’s perfectly fine because the tee will flex down and pop back up for the next repetition. Durability. The rubber we choose for Tanner Tees is a specific type that provides a balance of durability, flexibility and hitting experience. We need the tee to survive repeated collisions with a metal or solid wood object but not be so tough that the bat would feel interference at contact. The top can’t be “all durable”, because we need some flex. It can’t be “all flex” because we need it to support baseballs and softballs and last for thousands of reps. We feel rolled rubber is the perfect balance of these attributes. New hitters like three-year old’s hitting with mom or dad in the backyard don’t know it, but they appreciate the rolled rubber tee top too. With four inches of rolled rubber beneath the resting baseball, a hitter has a four-inch buffer zone to miss the baseball but not contact something solid. This may seem small, but it makes a difference for young and new hitters who may begin to anticipate “bat sting” against a rigid tee top and develop bad habits. With soft rolled rubber, there is some forgiveness when the inevitable miss hits happen, and that helps for a positive experience with the game. If you have any questions about our batting tees or the Tanner rolled rubber FlexTop, please contact us anytime.